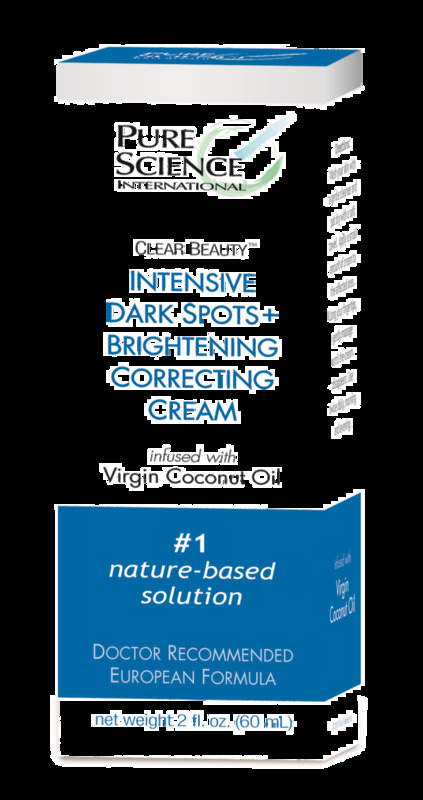 Clear Beauty™ Dark Spot & Skin Brightening Correcting Cream helps reduce troublesome and unwanted dark spots (age spots, liver spots, freckles, discoloration etc. ), while evening skin tones. Also infused with skin enhancing Virgin Coconut Oil & other skin nourishing ingredients. Description: Dark Spots (age spots, liver spots, freckles, etc.) are caused by increased Melanin in certain skin areas. This increase in Melanin is the result of increased Tyrosinase activity. Feel better about your skin today. Lighten age liver spots/sun spots, freckles, acne marks, dark elbows, knees, knuckles, old scars, discolorations and much more. Feel the difference in one day and see the difference in 30 days or less!